Vision Travel hosted an open house this week to showcase its newly renovated office in Yaletown. The event, attended by Vision Travel’s entire leadership team, brought together clients, partners, team members and independent travel advisors to celebrate the growth of Vision Travel within the Vancouver market. 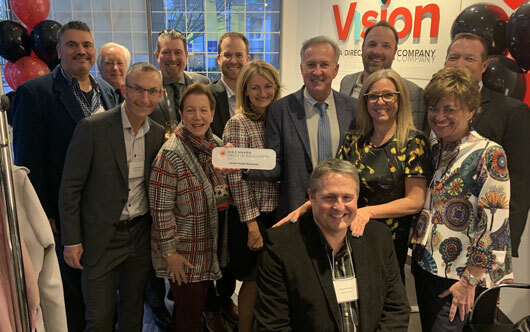 During the evening, Air Canada presented Brian Robertson, president of the Canada West region of Vision Travel, a Direct Travel Company, with a Circle of Excellence plaque, recognizing the exceptional partnership between the two companies.